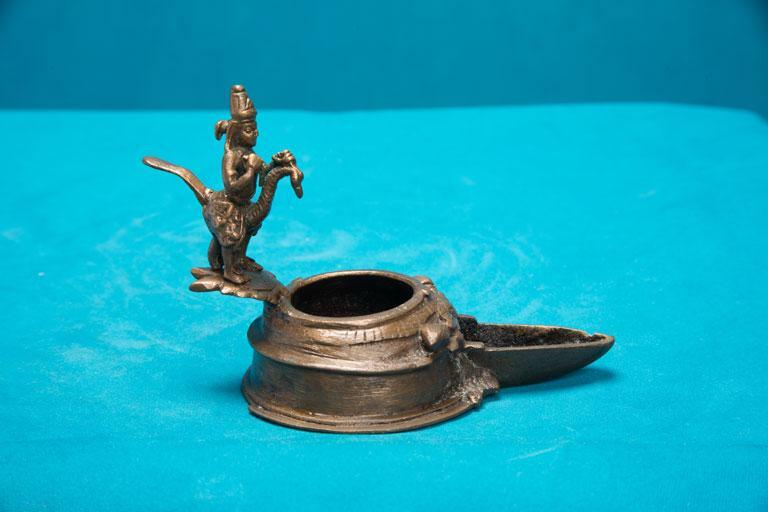 A simple yet beautiful exhibit of the museum among its rich oil lamp collection is this Pidi Vilakku. The handle of the lamp is unique in its style and design. It is designed in the form of a figure sitting on a peacock. It is a single-wick lamp and has space provided to fill oil.